Here at Shoot! We endeavour to provide you with the latest going’s on within academies across the land and today we turn our attention to the West Midlands. 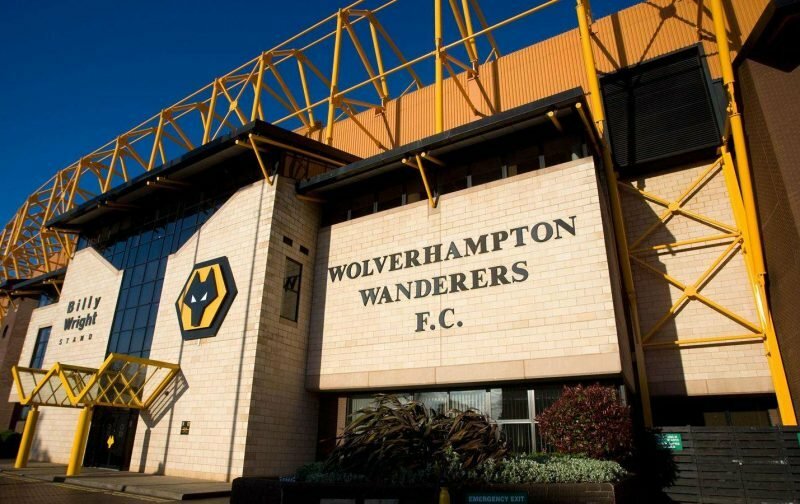 It’s time to explore the Wolverhampton Wanderers academy. The FA Cup. They call it the most historic cup competition in the world. The day where David takes on Goliath. The day where dreams come true. It’s late February 2017. A cold Saturday evening. Molineux, Wolverhampton. The English champions-elect are in town. It was the day where dreams came true for one particular youngster. To make your professional debut against, arguably, one of the best sides in England, for some may have been too much. For Wolves forward Donovan Wilson, it was an unreal experience. The youngster, who made the journey permanently from the west coast of England to the West Midlands in 2015, thrived under such pressure as he shared the field with the likes of John Terry, Cesc Fabregas and Diego Costa, despite Wanderers defeat to Antonio Conte’s Chelsea, that’ll be something to tell your grandchildren about. Wilson can Shoot for the Stars. Wilson’s journey does not start on the pristine pitch of Molineux, however; instead, it starts on the fields of the Patchway Sports Centre. Born in 1997, Wilson is a Bristol lad at heart. While the 12th biggest city in the United Kingdom is more renowned for its cricket (the Bristol County Ground is home to Gloucestershire County Cricket Club) and for its rugby side, who were founding members of Rugby’s Premiership in 1996, Wilson only had one love: football. They always say that you have to start somewhere; for Wilson that place was the Patchway Community College, home of local side Bradley Stoke United. But it was clear, even during his infancy, that this kid was above par in his age-group. Bristol Rovers thought so too. The Pirates kept a keen eye on the youngster and, when aged seven, lured him away from Sunday league football; academy football lied in wait, instead. It was a change in scenery. Something his parents could be proud of him for. But, even at the age of seven, academy football was just for fun- there was no competition for the young forward. But steadily, as he matured and his physique grew, his attention to detail grew, also. This was actually a possible career; playing professional football was not out of sorts for Wilson. But it would take hard work, not just in training time, either. Wilson would continue to play the beautiful game on the streets of his local town Yate. Progressively his game improved. And, by the age of 17, the hard-work had paid off. 20th May 2014. The day where Wilson put pen-to-paper on a professional contract with the club. With his family watching on, he could have not been any prouder. At 17, he was featuring frequently for the club’s development squad. But, by the November after signing his professional contract, something new attracted the eye of Wilson. It was Wolverhampton Wanderers, a club who just over two years earlier were playing Premier League football; the West Midlands club desired Wilson’s signature. It was a once in a lifetime chance. While it appeared more realistic to break through to the side from the West Country, he could- in months to come- be part of a Premier League side; Wolves, under manager Kenny Jackett, were lusting a place back in England’s top tier following their promotion from League 1 the year before- they stood in mid-table at the time and had a great chance of reaching the lottery of what is the Playoffs. It was an opportunity Wilson could not reject. In November of 2014, he made the move away from the Memorial Stadium; Molineux lied in wait. It wasn’t just Wilson individually who benefited; Bristol Rovers got a reported £50,000 for the youngster; not bad for a kid who had never made a league appearance for the club. After his transfer was finalised in the January of that year (he was initially on loan in the Black Country), he began to feature at Under 21 level on a regular basis. He made an immediate impact. The highlight of the season came on one overcast February morning; on the day before Valentine’s Day, he netted a brace against local rivals Stoke City. He followed it up the next week when he scored against Newcastle United. He sent out the message to the management staff at Molineux; they were fully aware of his ability. But it is inevitable that one day he would have a blip. That blip came throughout the 2015-16 season; he failed to score or manage an assist throughout a season where the senior team finished just nine points off relegation. But, as Cristiano Ronaldo once said, just because there is a bad chapter, it doesn’t mean it is the end of the book. For Wilson, this was so true. He has played a key part in the Wanderers Under 23 set-up this season; his first goal being a decisive one in September of last year, in a 2-1 victory over Middlesbrough. After switching back to his more conventional number nine position, his form spiked; he netted a hat-trick in October in a 4-1 victory over Newcastle while he has also netted braces against Blackburn and Norwich. However, they always say that development squad football should only be a grounding; the next aim is to reach the first team. That has already been the case for Wilson, as he has appeared- off the bench- for the senior team in an FA Cup tie over Chelsea; he also appeared off the bench on a Good Friday to remember against Brighton. Not a bad Easter, therefore, for the 20-year-old; it’s quite a contrast to knocking a ball about in the streets of Yate.